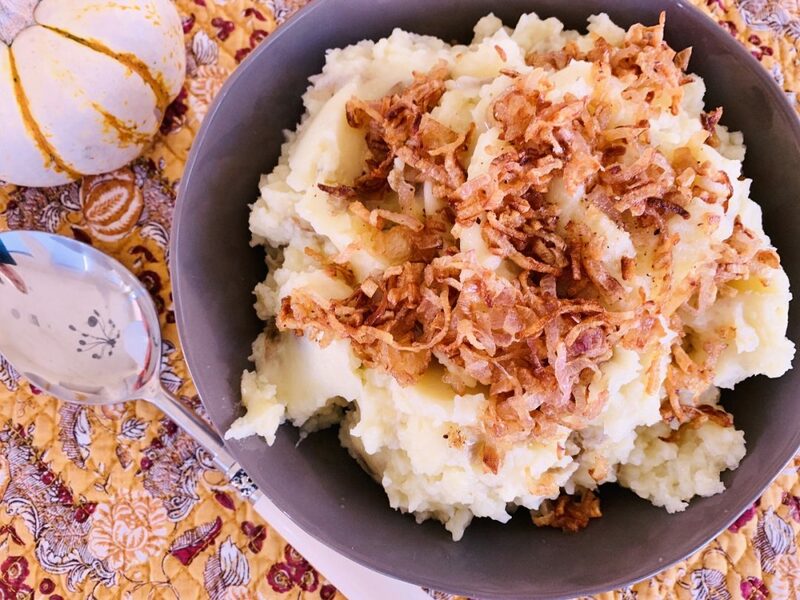 Rustic Mashed Potatoes with Frizzled Shallots - Recipe! - Live. Love. Laugh. Food. 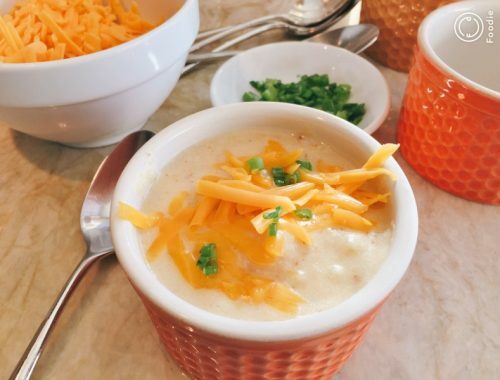 Mashed Potatoes are a pretty basic dish, but they can be transformed into the most amazing food on the table. Whether you prefer russets, new or a waxier variety – potatoes are always present at Thanksgiving. 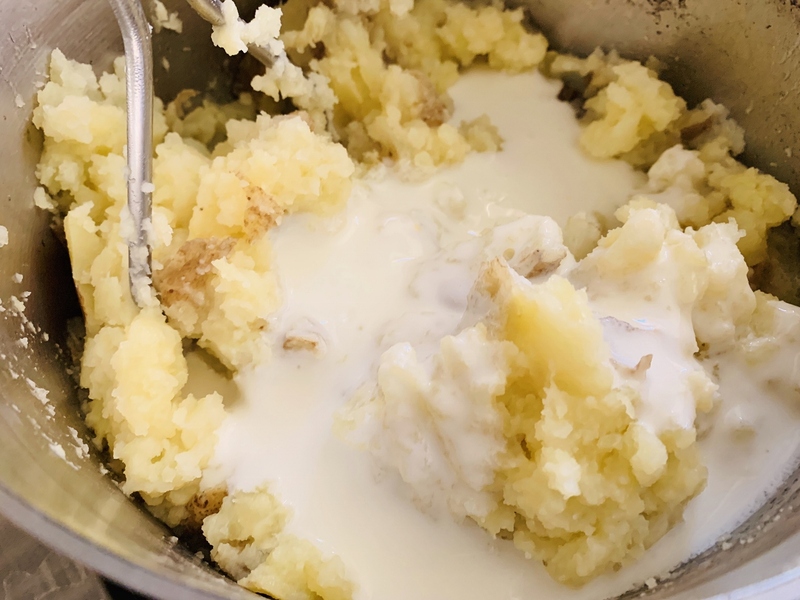 Many prefer their mashed potatoes plain with a little butter, that’s always a nice start, but then somewhere after the butter – differences can begin. I must admit, potatoes are not usually my favorite dish, until now. These potatoes have taken on a new name this holiday season, they are different – not bland or boring. I decided to use white new potatoes with their skins on. There’s something about your skin in the game that really makes a difference….hmm. Buttermilk is the other culprit that adds to my recipe and leaves a tangy taste, not too much, but just enough. Also, a bit of olive oil along with creamy butter adheres to my rustic plan – it adds a slight green aroma – just building layers of flavor here. 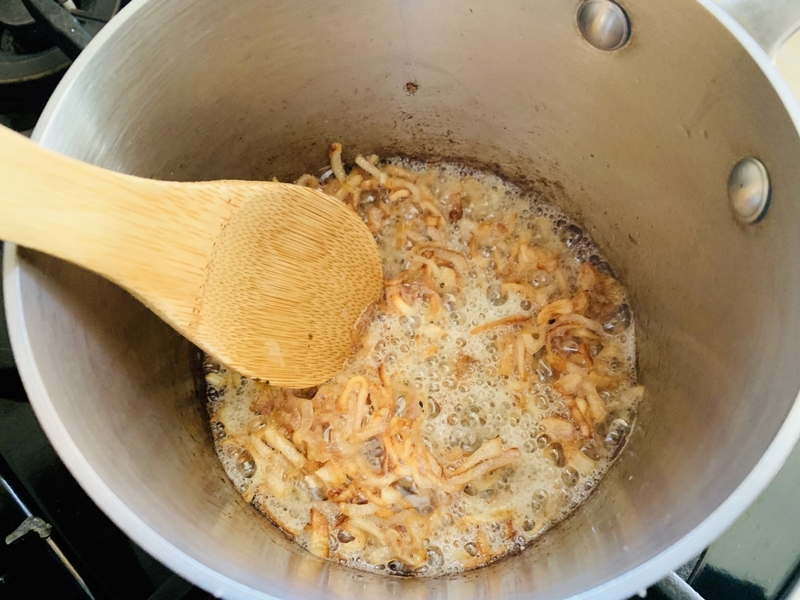 Now the shallots – cooked for 15 minutes in a pat of butter until browned, crispy and mouthwateringly appealing. There’s always a finale isn’t there? 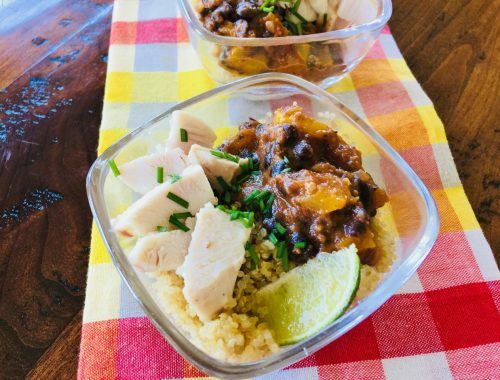 This definitely could be my favorite new dish of the holiday season. Add potatoes to a large pot and fill with cold water. Place over medium-high heat and boil until fork tender, about 25 minutes. In a small pot or pan, add 1 tablespoon butter and sliced shallots. Place over medium heat and cook for 15-20 minutes, stirring occasionally. Drain potatoes and add remaining butter, mash. Add buttermilk, olive oil, salt and pepper – mash until creamy. Spoon potatoes into a bowl and top with frizzled shallots. Keep warm in oven (covered with foil) or serve immediately. Enjoy! 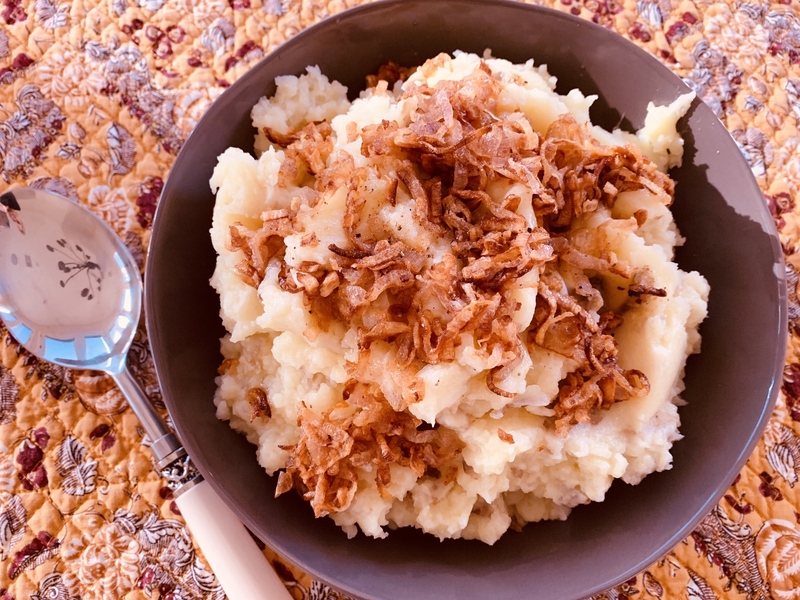 cooking with Gena BellHow to Make Mashed PotatoesMashed Potatoes RecipeRustic Mashed PotatoesRustic Mashed Potatoes with Frizzled Shallots - Recipe! 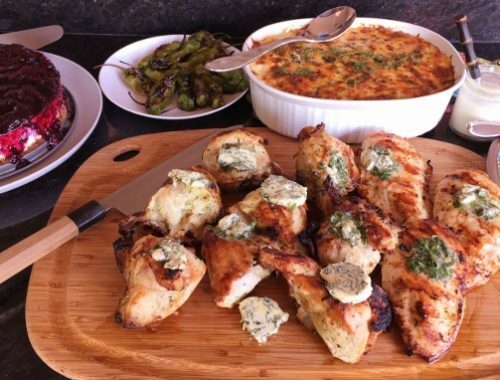 Social Sundays – Grilled Chicken with Lemon Basil Compound Butter, Green Chile Polenta Bake, and Lemon Blueberry Cheesecake!